It gives me great pleasure to extend to all prospective students and their parents /carers a very warm welcome to St Luke’s High School. As you look through this website and other documentation therein, you will see the vision, values and aims of St Luke’s clearly stated and I hope this will give you a sense of what is important for us in the school community. Students should feel safe, happy, well taught and successful in school and grow in confidence and responsibility as they develop into young adults and make their own contribution to the ongoing success of St Luke’s and the community. 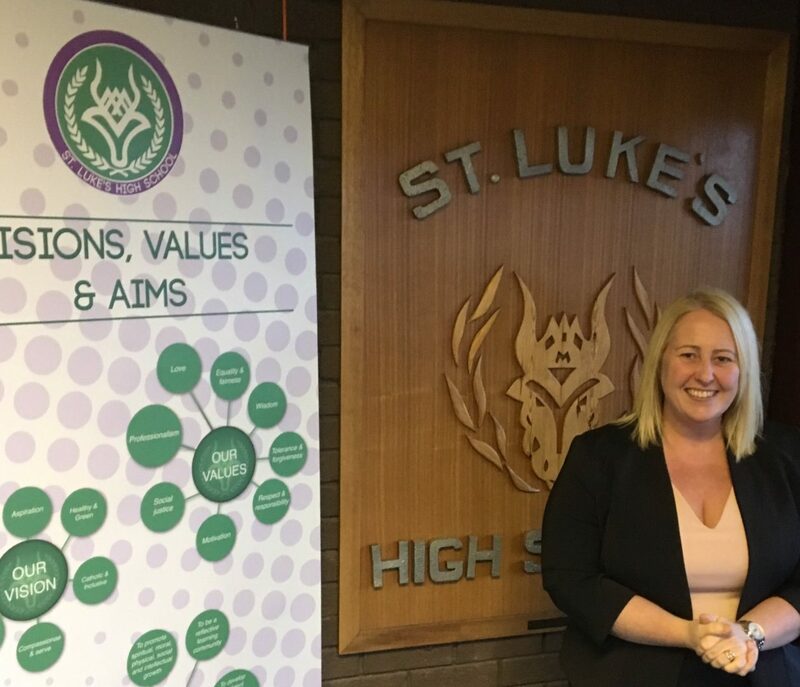 I encourage and value your involvement in the education of your child and, together with the staff of the school, I believe we can work to reach the highest standards of attainment and achievement for our young people during their time in St Luke’s and beyond. Monday, Tuesday, Thursday: 8.45am - 3.30pm. Wednesday, Friday: 8.45am - 2.40pm.